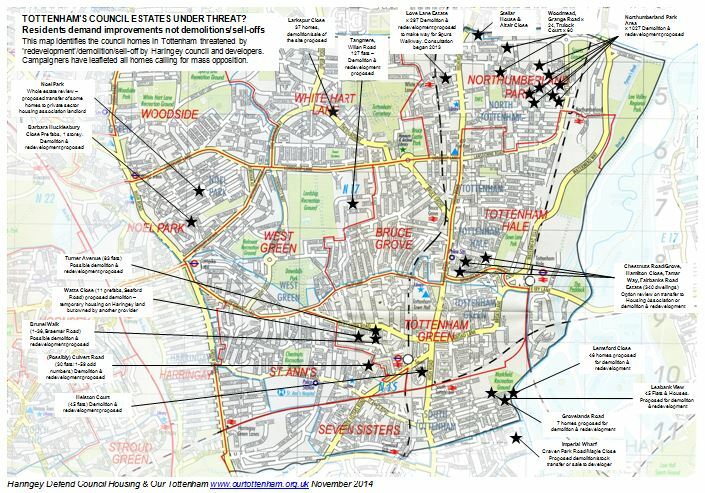 TOTTENHAM’S COUNCIL ESTATES UNDER THREAT? This map identifies the council homes in Tottenham threatened by ’redevelopment’/demolition/sell-off by Haringey council and developers. Campaigners have leafleted all homes calling for mass opposition.